Our holiday boxes are the perfect gift for client and customer appreciation, memorable teacher or neighbor gifts or a delicious way to share holiday happiness with your family and friends. Make your gift giving experience personal and time saving so you have more room on your calendar for celebrations. Each of our gift boxes are filled with a variety of flavors that are sure to delight! All holiday boxes include free pickup. 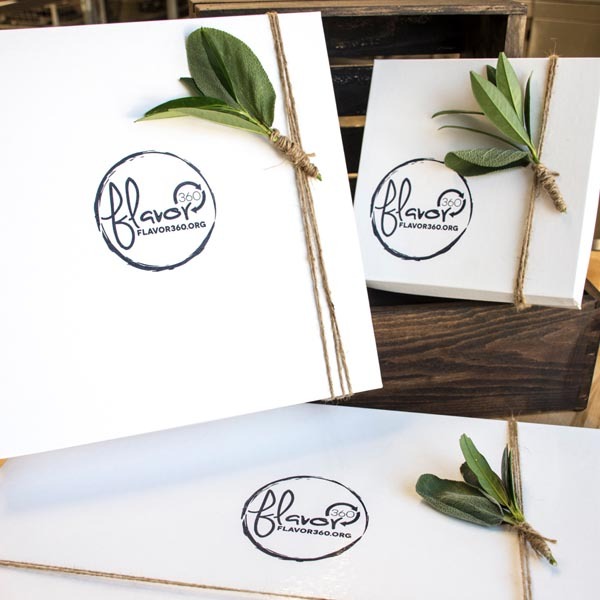 If you would like Flavor 360 to deliver holiday boxes to you or the gift recipient(s), we are happy to take care of all the details. Contact Chef Kara for your customized holiday box delivery plan (some delivery fees may apply). Order Your Holiday Box Today!